Road trip has been a favourite genre for filmmakers across the Bollywood and our Bollywood makers are no exception. But in our films, it’s usually the guys (ZINDAGI NA MILEGI DOBARA, DIL CHAHTA HAI) that are travelling or a group (PIKU, YEH JAWAANI HAI DEEWANI, DIL DHADAKNE DO), or in some cases only the hero and the heroine (JAB WE MET, TAMASHA) that are going around and making merry. We have never a female road trip film, though QUEEN was a story of a girl but it can’t really come under the road trip genre. Howard Rosemeyer attempts to make the first female road trip film of Bollywood. So does it entertain and motivate viewers to pack their bags and go on a holiday or does it highly disappoint? Let’s analyse. JIA AUR JIA's introductory sequence is interesting. But the film falls immediately after that. The airplane sequence where Jia Garewal manages to secure a business class seat is supposed to be funny but fails to raise laughs. And this issue continues right till the end – except a dialogue or two, nothing is hilarious. The writing is terrible with too many unconvincing sequences. It’s bewildering how Vasu (Arsalan Goni) agrees to marry Jia Garewal despite knowing the truth. Not even once does audience feel it’s believable as the character is just not developed properly. One expects the finale at least to be sensible. But alas, the climax is maddening and senseless. Mudassar Aziz's story is poor and unexciting. It’s shocking that JIA AUR JIA is written by the same person who wrote and directed HAPPY BHAG JAYEGI. Farahjaan Sheikh's screenplay is very weak and difficult to digest. Mudassar Aziz's dialogues are average and sadly most of them are not used well in the film. Howard Rosemeyer's direction is amateur and he fails in all departments. He is not able to keep the editing in check – scenes and background score start and end haphazardly. Even the sound and dubbing is not uniform and this is something that even a layman will realise. Kalki Koechlin is the only one who seems interested in giving a credible performance. She does look fake as a person who is fully filmy but as compared to other actors in the film, she is the best. Richa Chadha is a fine actress but doesn’t seem to be in form. She looks disinterested and her constant sobbing doesn’t work for her character much. 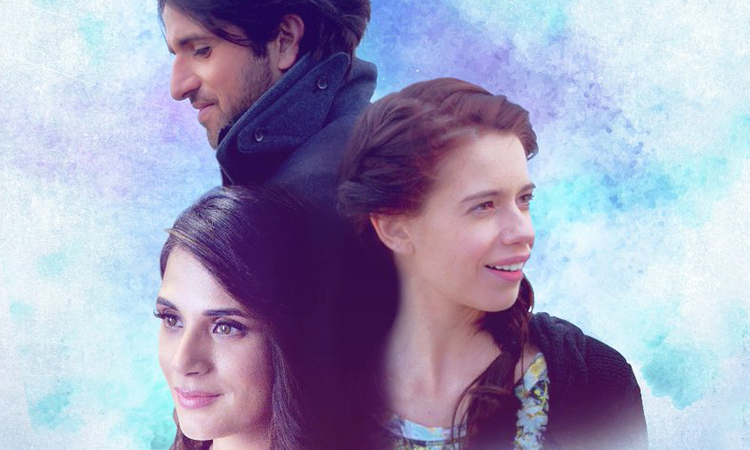 Arslan Goni's performance suffers due to weak characterization. Sudhanshu Pandey and Zarina Wahab (Jia Garewal's mother) get no scope. Music is situational and might have worked if the film had some salt. ‘Nach Basanti’ is the best of the lot. ‘Na Shukre’ and ‘Na Jaa’ doesn’t work as both are relegated to the background and that too during some really bad sequences. Sameer Nichani's background music is decent. Shakil Khan's cinematography is very bad and the extreme close ups of actors is an eye sore. The film's aim is also to attract tourists to Sweden. But even in that regard, the film fails due to bad cinematography. Even the stock footage is of inferior quality. Prashant S Rathore and Sandeep Kurup's editing is juvenile. Shahid Aamir and Manali Jagtap's costumes are however appealing. 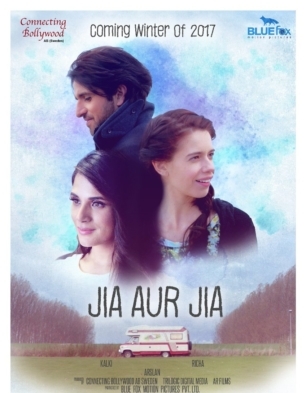 On the whole, JIA AUR JIA is a poor show all the way laced with a very bad script and poor direction. At the box office, it will be a failure.